For my boyfriends Semi-Formal we headed to Breckenridge Colorado for the weekend. It's been years, around 15 to be exact, since I've last visited Colorado. So, I was very excited to head back and explore as an adult! Turns out I had been in Breckenridge in 2001 when my family visited years ago. I don't remember anything, so it was fun to explore the adorable little town and Main Street area. We spent most of Saturday shopping around and looking in the adorable stores on Main Street. Main Street is the hub of Breckenridge and features boutiques, gift shops, ski gear stores, and local eateries. I was trying to restrain myself from buying all of the amazing clothes and knick knacks! I did a good job and only picked up a few ornaments and some other random things along the way. One of the gift shops had a ton of cool stickers! I picked up a few for my laptop and for keepsakes. All around Main Street were these cool benches made of skis or snowboards. I loved this one that had the Colorado flag painted onto it. Christmas was in full swing in Breckenridge! With snow and ice already on the ground I don't blame them. We lucked out with 50 degree weather though, so I can't complain. It was a gorgeous day to walk around and see the town. There was a store dedicated to hand made candles! They all had unique designs that glow when lit. Be on the lookout for my Breckenridge travel guide coming to the blog soon! Black Friday Deals + Deals of the Weekend! 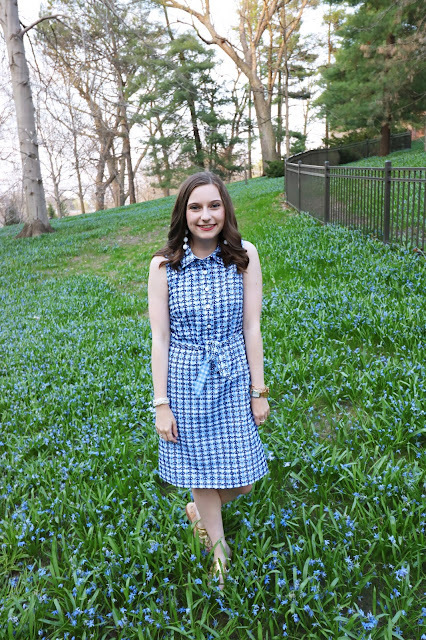 What I Wore: To meet KATE SPADE!